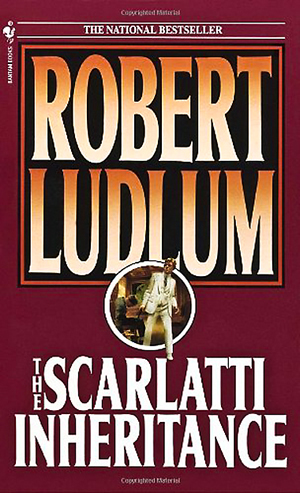 I gave Robert Ludlum a contract for his first book The Scarlatti Inheritance in 1967 in my capacity as Mystery Editor for the Macmillan Company. At the time he was working out of Teaneck New Jersey as a radio announcer and voiceover actor. That very rough manuscript took a great deal of work but turned out to be only the first in a succession of international best sellers. Bob knew he wasn’t the greatest literary stylist in the world. He needed, sought after, and was grateful for major line editing, cutting and shaping on his manuscripts. I spent weeks going over every line and paragraph of the book, trying to make it read better. In fact, I never thought it achieved the level of literary excellence I hoped for, but ultimately it was the powerful and compelling plot that carried this first book and many other huge best sellers after that. Bob’s strength was in writing compelling stories, pages you wanted to keep turning, a world of conspiracy, danger, and thrills. Ultimately he wrote 21 novels, each one a New York Times bestseller, with more than 210 million books in print in 32 languages.